The software deconvolves images from widefield, confocal, two photon, light sheet, and HCA microscopes. 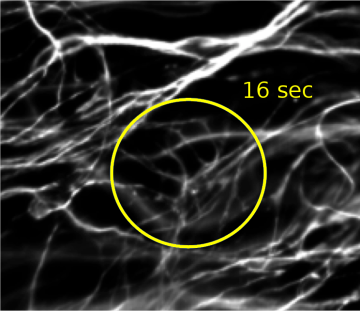 Blind deconvolution option improves noisy data, such as deep tissue imaging. Multi-GPU options enable even giant images to be processed in seconds. *Bruce MA, Butte MJ. Real-time GPU-based 3D Deconvolution, Optics Express, 2013; 21(4): 4766. Microvolution’s method starts with the proven Richardson-Lucy algorithm that is used by most software programs. Other vendors take mathematical shortcuts to speed up iterations, resulting in imprecise images after deconvolution. Microvolution takes no shortcuts. Our software delivers accurate images, up to 200 times faster. Image courtesy of Molecular Devices. When collected under the right conditions, deconvolution can help break the diffraction barrier. 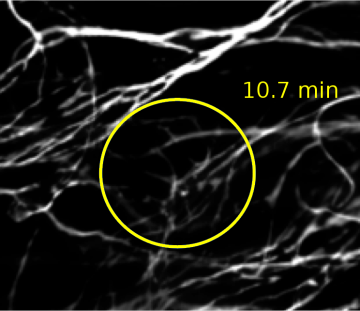 Pictured below are 180 nm separated lines on an Argo-SIM slide, imaged with widefield microscopy. Deconvolution brings a √2 improvement in visual resolution. Image courtesy of Tong Zhang and Puifai Santisakultarm, Salk Institute.